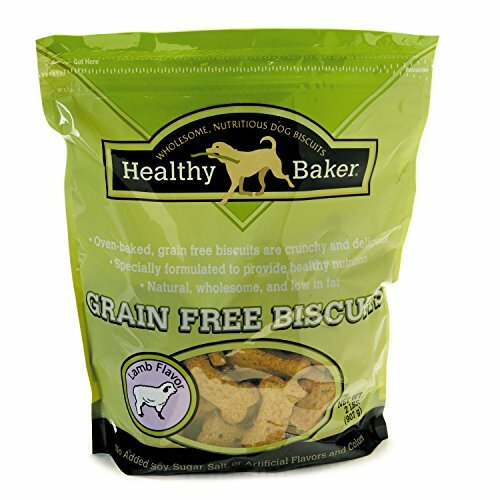 Healthy Baker Grain-Free Biscuits — Wholesome And Delicious Treats For Dogs - Lamb, 2", 2 Lbs. 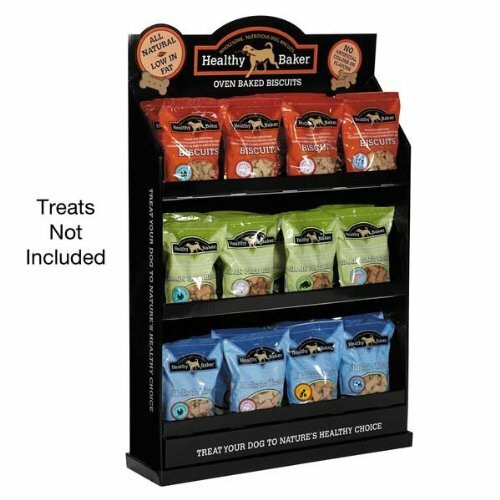 All the delicious taste of our Healthy Baker Biscuits, now in a tasty Healthy Baker Grain-Free Dog Biscuits formula. • Low in fat, natural, wholesome and delicious • Contain no added soy, sugar, salt, or artificial flavors and colors • Made in the USA Grain-Free Lamb Flavored Biscuits are made with real Lamb for a great taste dogs love. Ingredients: Pea flour, potato flour, tapioca, lamb, chicken fat (preserved w/ mixed tocopherols), tomato pomace, cranberry, apple, carrot, sweet potato, celery, beets, parsley, lettuce, watercress Guaranteed Analysis: Crude protein – 12% min. Crude fat – 5% min. Crude fiber – 5% max. Moisture – 12% max. 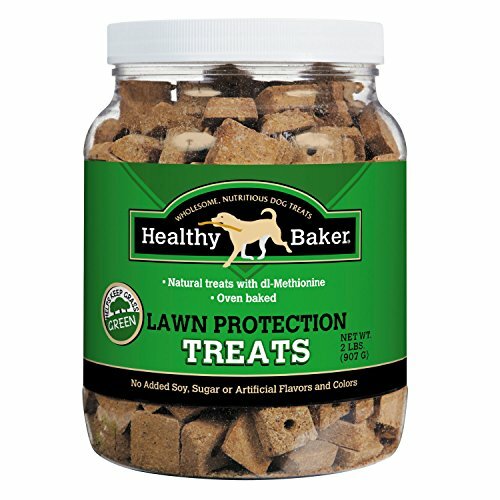 Healthy Baker Lawn Protection Biscuits — Wholesome And Delicious Treats For Dogs, 2 Lbs. 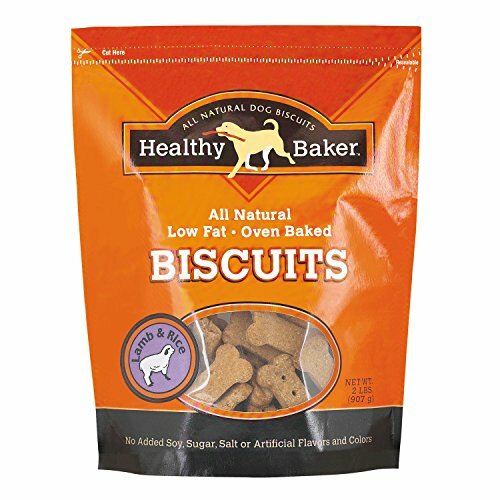 Healthy Baker Flavored Biscuits — Wholesome And Delicious Treats For Dogs - Lamb & Rice, 2", 2 Lbs. Crude protein – 13% min. Crude fat – .5% min. Crude fiber – 4.5% max. 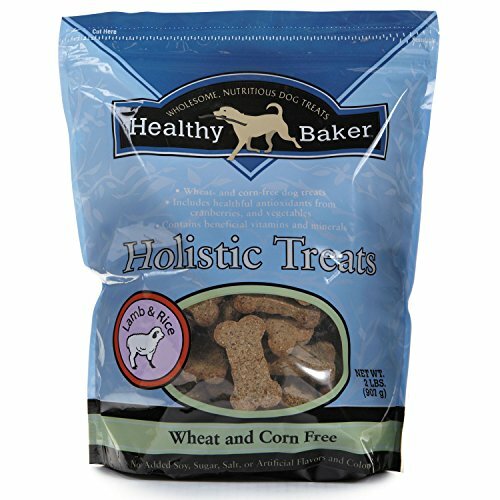 Healthy Baker Holistic Dog Treats — Wholesome And Delicious Treats For Dogs - Lamb & Rice, 2", 2 Lbs. 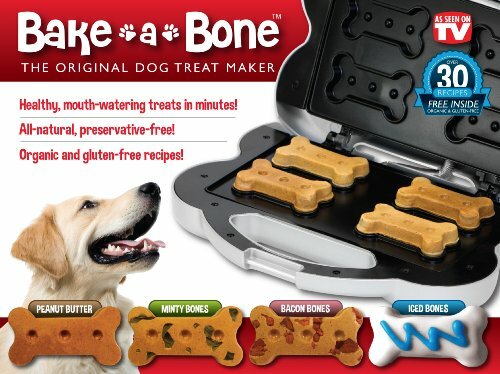 The original dog treat maker makes healthy, delicious preservative-free treats in minutes. Perfect for small, medium and large dogs. Bake-A-Bone features allergy-sensitive recipes including wheat-free, corn-free, low-glucose, lactose-free, gluten-free and soy-free. Recipes for every taste: chicken, beef, liver, peanut butter, cheese, vegetarian, vegan organic and much more. 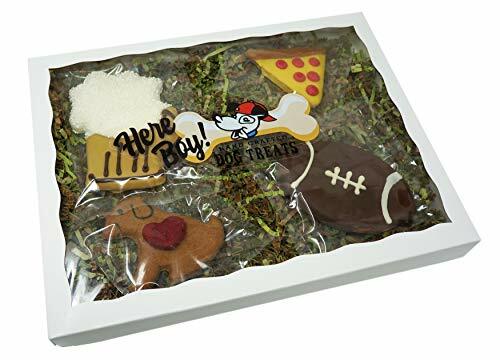 Make fun specialty treats also snicker poodles, banana biscotti bones, birthday bones, puppy pot-roast bones. You can also decorate your treats with fun, pet-friendly homemade icings. 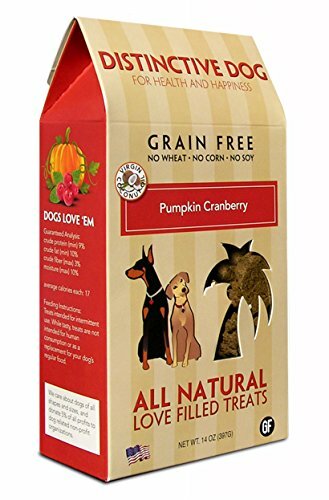 Distinctive dog pumpkin cranberry crisp dog treats contain pumpkin, cranberries and cinnamon dogs love. These dog treats are grain free and also contain extra virgin coconut oil. Coconut oil provides your dog health benefits including immune system support, energy, healthy skin and coat, digestion support and much more! Pumpkin cranberry crisp treats are baked with quality ingredients in the pacific northwest, U.S.A. These treats are well known for their strong pumpkin aroma and great taste. Distinctive dog treats contain only natural, healthy ingredients and no allergens including wheat, corn or soy. Pumpkin cranberry crisp treats are also grain and gluten free, and contain no artificial preservatives or refined sugars. Distinctive dog is passionate about dogs and the health and well-being of dogs everywhere. That's why the company donates 5% of their profits to help dogs in need. So you can feel good about feeding your dog the highest quality gourmet dog treats and supporting their cause. Give them a try today and your dog will be begging for more. Lawn Protection Healthy Dog Treats If you want to eliminate yellow pet urine stains on their lawns, these Healthy Lawn Protection Dog Treats are the answer. Healthy Baker biscuits and treats are made in the USA. Wholesome, savory Lawn Protection Treats neutralize the pH of pets' urine Prevents lawn burn damage for greener yards Made in the USA with all natural ingredients 3/4" treats are baked to give them an irresistibly crunchy texture Real peanuts give them a mouth-watering taste dogs love. Contains no added soy, sugar, or artificial flavors, colors and preservatives. Healthy Lawn Protection Treats are packaged in clear, resealable jars. Measurements are approximate. Actual sizes may vary. This eye-catching Healthy Baker Biscuit Display (in black). Display only (treats not included). Is the perfect way to boost treat sales in your shop. Shopping Results for "Healthy Baker Dog Biscuits"